Wish them Mazel Tov or raise a glass to L'Chiam with this festive kosher gift. Wish them Mazel Tov or raise a glass to L'Chiam with this festive kosher gift. 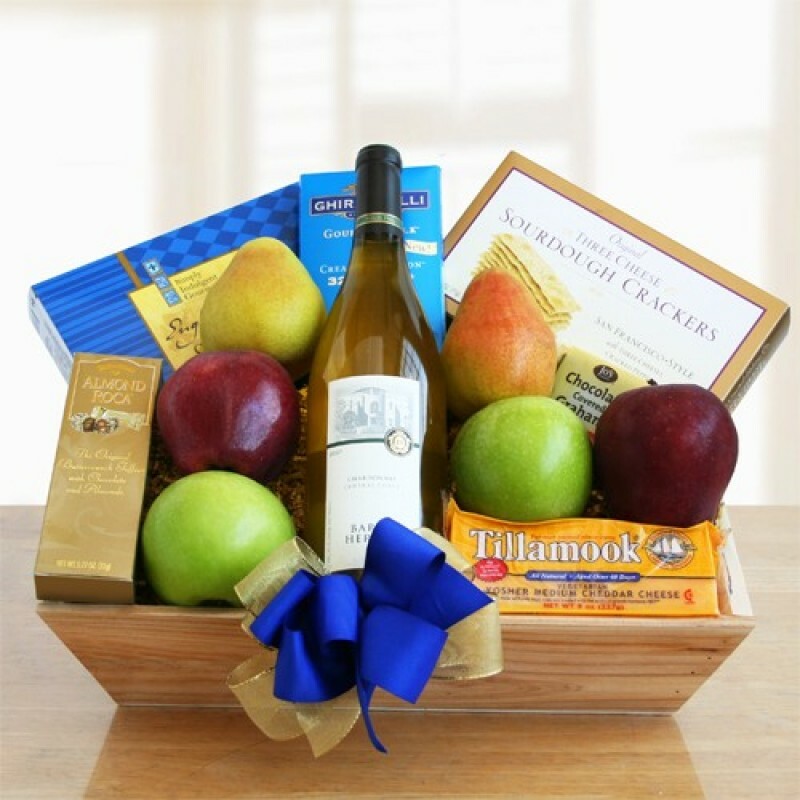 Perfect for many occasions, this rustic wood crate holds kosher favorites, including crisp red and green apples and pears, Almond Roca, sourdough crackers, cheese, sweet cookies, a Ghirardelli Creamy Devotion chocolate bar, a chocolate covered graham cracker and a bottle of kosher white wine.